Congrats CommunityWise member award winners! 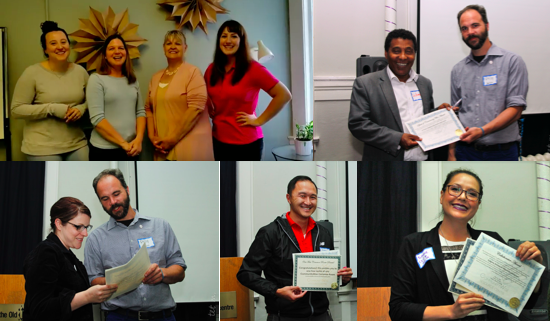 Each May at our Annual General Meeting, CommunityWise recognizes a small group of incredible members by giving out Member Awards. Read about the five 2018 receipients below! Spirit of CommunityWise #1: Eritrean Canadian Community Association. The Spirit of CommunityWise is awarded to a member who contributes to the vitality and spirit of our centre with their ongoing programs, services, events, meetings, and presence. The Eritrean Canadian Community Association, a member at the centre here for 30 years, has had an extremely exciting and busy past year expanding their services at the centre and coming together to promote unity and advancement of Eritreans while increasing the understanding and appreciation of Eritrean Heritage. Spirit of CommunityWise #2: Calgary After School Program. The Calgary Afterschool Program operates out of CommunityWise and the Beltline Fitness Centre next door. They facilitate creative and flexible programming for resident youth. They and their participants bring amazing energy to many parts of the building. The youth leaders' compassion, genuine care in the delivery of the program, and ability to adapt to the changing needs of a shared use environment like ours is no small task and does not go unnoticed. Community Award: Change the Face of Addiction. 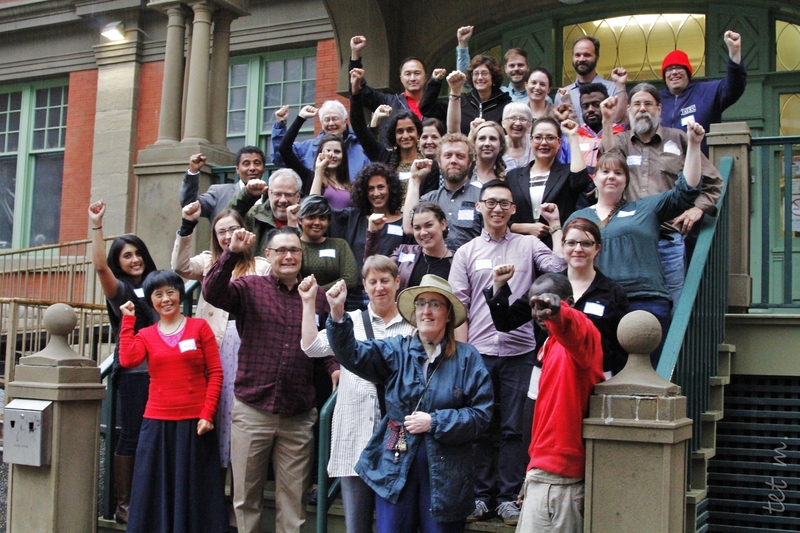 The Community Award is offered to a member organization that strives to create a more equitable community, by providing barriers-reduced space, resources, and programming and/or by advocating for the specific needs of diverse communities. The Community Award for 2018 is awarded to Change the Face of Addiction who are doing leading edge and grassroots work in Calgary around the importance of harm reduction and changing the narrative about addiction in this time of crisis. Collaborator Award: Calgary School of Informal Education (CSIE). The Collaborator Award is offered to a member who has over the year cultivated relationships, connections, engagement opportunities, and collaboration at CommunityWise. CSIE has been able to bring life to the space downstairs, and are experimenting with different ways to engage folks and partners. We are excited to see what happens next for them. Spirit of the Old Y: Brown Bagging for Calgary’s Kids (BB4CK). The Spirit of the Old Y is awarded to an organization that has been with the Old Y building for many years (in this case, 11 years) and embodies the spirit, historic purpose, and present values of our centre with their ongoing programs and services. BB4CK is an amazing tenant member: consistent, supportive, caring, and proactive. They have also supported CommunityWise through connecting us to new programs and resources for the benefit of all members. Next PostNext CommunityWise Annual Report is here! CommunityWise is located on Treaty 7 territory, home of the Kainai, Piikani, Siksika, Tsuut’ina, Stoney-Nakoda and Métis Nation, Region 3.